As promised some pictures of new fabrics that arrived last week. The first is from Fresh Modern Fabrics and contained a range of Kona Solids in bright, vibrant fabrics to match Goo Goo Socks, Monkey Bizness by Alexander Henry. These socks excited me the first time I saw them, and I have big plans for a fun baby quilt for my brother who with his partner, is expecting their first baby late this year. 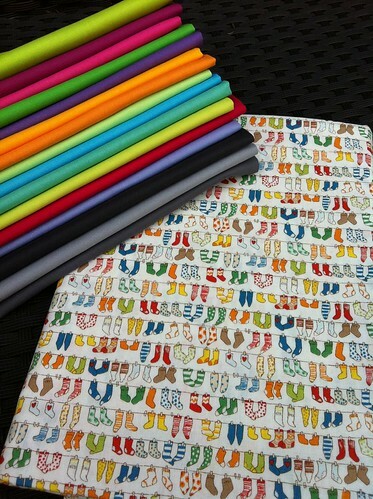 The socks are super little and super cute, and with the bright solids I reckon this is going to be a great quilt. Just have to finish my Tiffany WIP first! 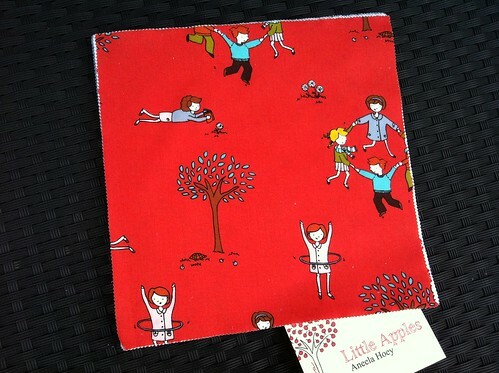 Also in the mail this week ..... Little Apples!! I have been eyeing this collection for months, and when I heard that I could get it early right here in Australia I just could not help myself. I have started with a Layer cake. The fabric colours are perfect - vibrant and dense in colour. Wow! Its going to take some thought before i cut into these. My Tiffany quilt is almost done. Just need to finish the binding. Great progress over the weekend. Hope your having a good weekend everyone. 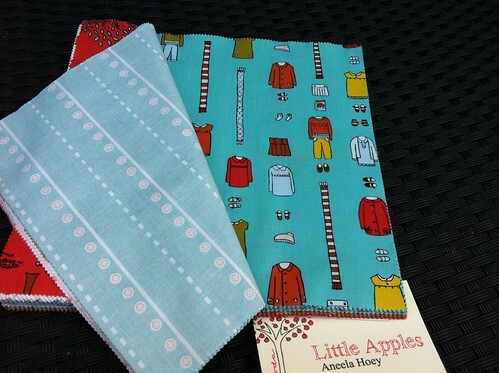 Good to hear you had lots of sewing time and new fabric to plan with!